SafeFootballTickets.com was created to give football fans from around the world the best advice and opportunity to purchase tickets to their favourite teams. We have full information and guides for all the major football teams from England and around Europe. Whether it is the Premier League, FA Cup, Champions League or World Cup tickets you require we have the complete information required to make your buying experience better. Tickets listed on here are in the secondary market and may be higher or lower than face-value. Order your Arsenal FC Tickets for all home and away games. 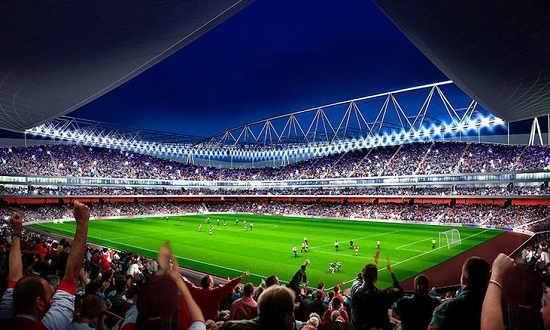 We discuss where and how you should buy tickets to watch Arsenal play. The biggest club in the world has an increasingly high demand for tickets. See where and how we recommend you should order your seats for upcoming matches. Read the Manchester United ticket page. Ever wondered how to get cheap Liverpool tickets then read our page on where and how. We give the options from official, secondary and through Social Media channels. The biggest cup competition in England, The FA Cup. From the 3rd Round all the way to the Final at Wembley we offer advice, information and recommendations where you should order your seats. FA Cup fixtures and tickets. Looking for tickets to Tottenham Hotspur of London the view our Tottenham Hotspur Tickets page. Follow us on Facebook and Twitter to get the latest information regarding ticketing for the latest matches. Please contact us directly here if you have any questions or queries regarding football tickets.